I remember having bean bag chairs as a kid. I remember they were comfortable, but I also remember that they always leaked! We always wound up having to throw out and replace the chairs after a short while. With those memories in mind, I wasn’t in any rush to get a bean bag chair for my oldest son Matthew, even though I knew he would love it. But one thing I didn’t really keep in mind is that maybe, just maybe, bean bag chairs have evolved since I was a child – and The Soothing Company has proved to me they have! 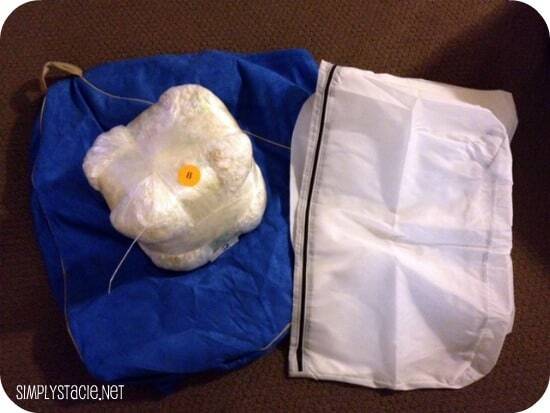 We were sent the Jaxx Club Junior Bean Bag for review. I choose the blue color since that’s Matthew’s favorite. The micro-suede cover is weather-proof, which is great for young kids (protects against weather and staining). The cover is also machine-washable, which is always a plus in my house! One feature that I like the most if the kid-proof zipper on the outer liner – great to keep curious little hands out of trouble. The chair is lightweight and has a sturdy handle for easy transportation. When it arrived, it was easy to assemble – we had no stray fill leak out. Once it was full, we left it alone to expand on its own. After 24 hours, the chair was ready for use. 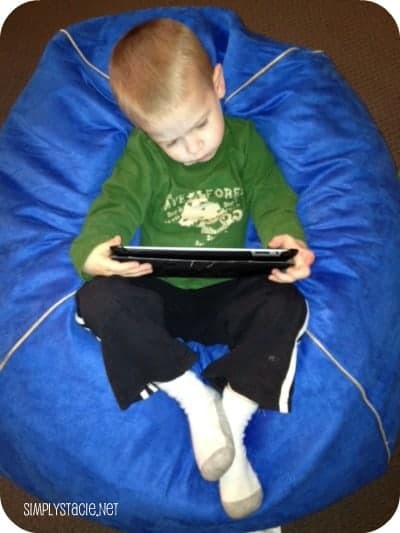 Matthew loves to plop down on it when using the iPad, reading, or watching a little TV. The Jaxx Club Junior Bean Bag is sold on The Soothing Company’s website for $80. The quality of the fabric, and the sturdiness of the chair, really make it worth every penny. The Soothing Company is an online retailer that offers bean bag chairs, water fountains, wall aquariums and more. They offer free shipping – and no tax. Their products are aimed to provide soothing relief and add some relaxation to our busy lives. Their products are great for the home and office. You can check out the full line of The Soothing Company’s products on their website. You can also keep up with them on Facebook.